Risk warning: CFDs are complex instruments and come with a high risk of losing money rapidly due to leverage. 66% of retail investor accounts lose money when trading CFDs with this provider. You should consider whether you understand how CFDs work and whether you can afford to take the high risk of losing your money. CFDs are complex instruments and come with a high risk of losing money rapidly due to leverage. 66% of retail investor accounts lose money when trading CFDs with this provider. You should consider whether you understand how CFDs work and whether you can afford to take the high risk of losing your money. 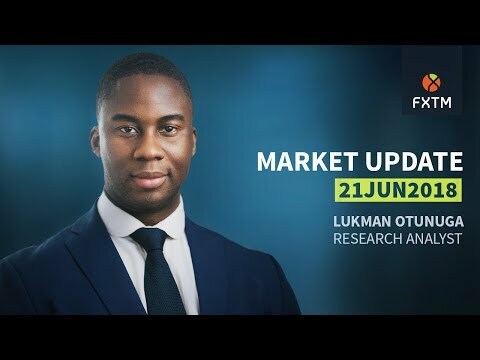 FXTM is well known for being an expert source of financial commentary and our market research team regularly publishes market commentaries to update traders on the latest market opportunities and help fulfil trading strategy potential. ForexTime UK Limited will be launching MT5 in the near future, we will keep our registered clients posted and will also update our website accordingly. ForexTime Limited (www.forextime.com/eu) is regulated by the Cyprus Securities and Exchange Commission with CIF license number 185/12, and licensed by the Financial Sector Conduct Authority (FSCA) of South Africa, with FSP No. 46614. Please send us an email at support@forextime.co.uk and we will get back to you as soon as possible.